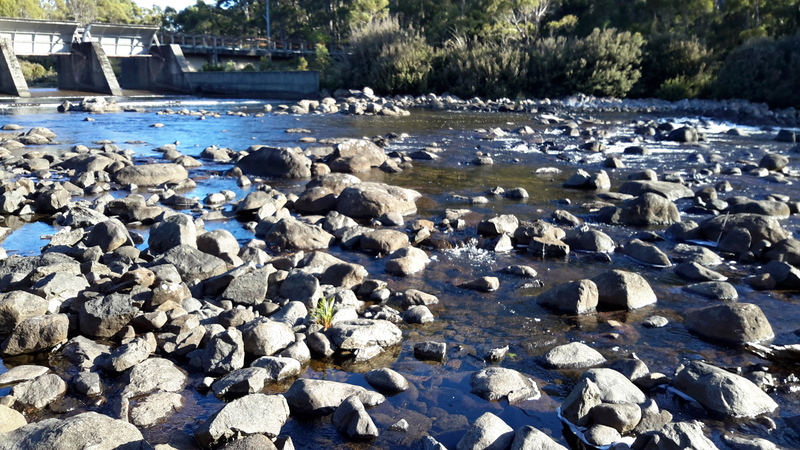 I watched the Derwent River scampering along playfully. Youthful. The source was nearby. 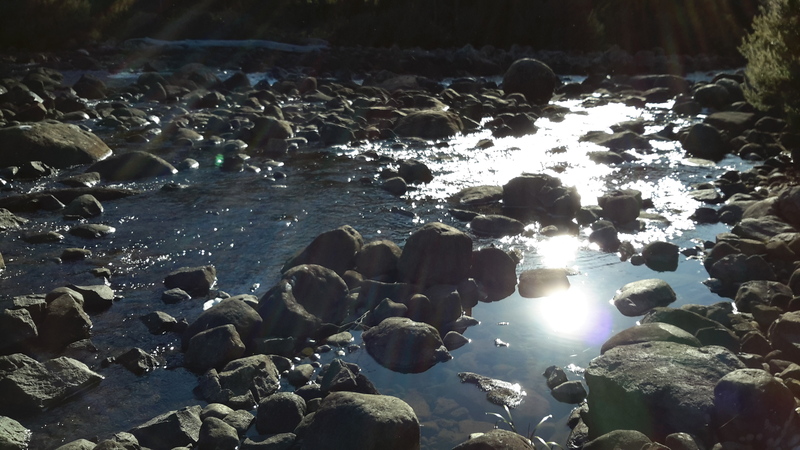 Enjoy the sound of the rushing waters in my short video near the River’s source. 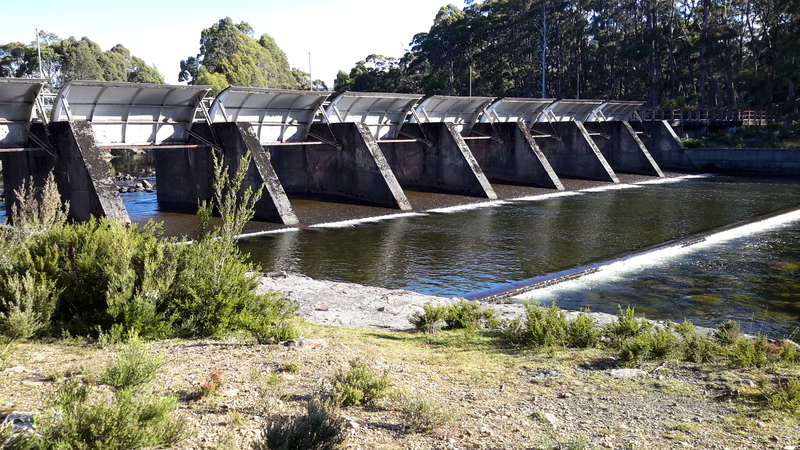 I walked northwards towards the St Clair Lagoon dam, and the first of the Derwent River waters flowing beneath the baffles, showed themselves. This was the time for a selfie and, as usual, it was grossly unflattering – but the moment called for it. I had reached the source of the Derwent River. This striking moment, as are all moments, was impossible to grasp. While I tried to absorb and ingest the atmosphere of the place with all its aboriginal and non-aboriginal histories, my mind was so muddled I forgot to breathe. Then I felt compelled to take deep and long breaths but was too excited to inhale more than a couple of shallow breaths. I felt I should stop, stand or sit and never leave yet at the same time I felt I must move on. I wasn’t sure what to look at nor what to think about. That the natural environment was powerfully enduring despite man’s intervention, reminded me I was like a small scratch on the surface of this land. Yes – I had arrived at my destination. Finally. 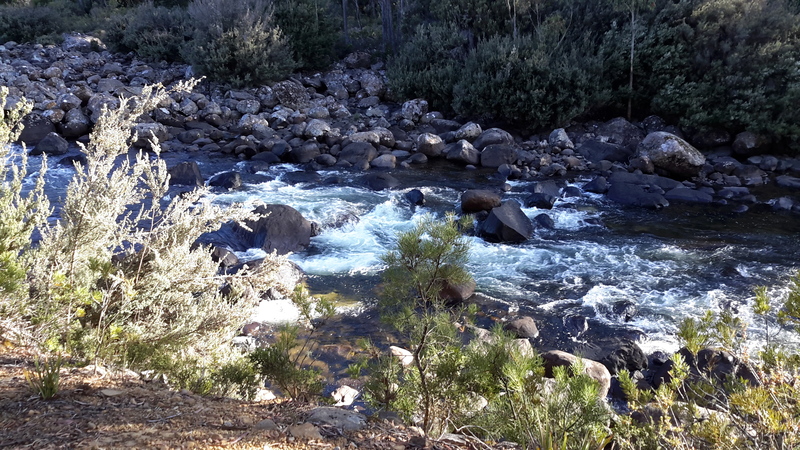 I was amazed that walking the Derwent was possible, not for all people, but definitely possible. That what I had commenced as a whimsical and unresearched idea, had been realised as an epic adventure. One step at a time. Of course, I remembered sections of the River had yet to be walked but they were few and I sensed that if I didn’t worry, then each would be achievable in the coming days. I could see it was much more satisfying to enjoy the present and not to plan the future. 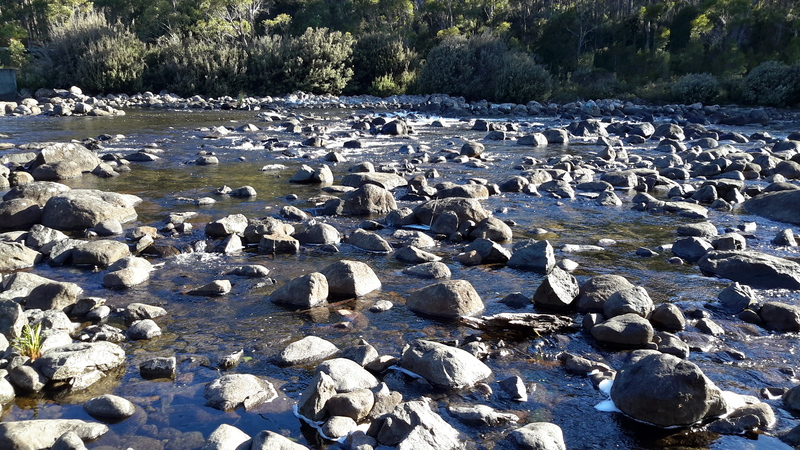 Only then did I feel like I was blossoming with the profound pleasure of the cool morning, the clean air, the colourful and complex natural environment,and my arrival at the Derwent River’s source. This was one of the most significant moments in my life. 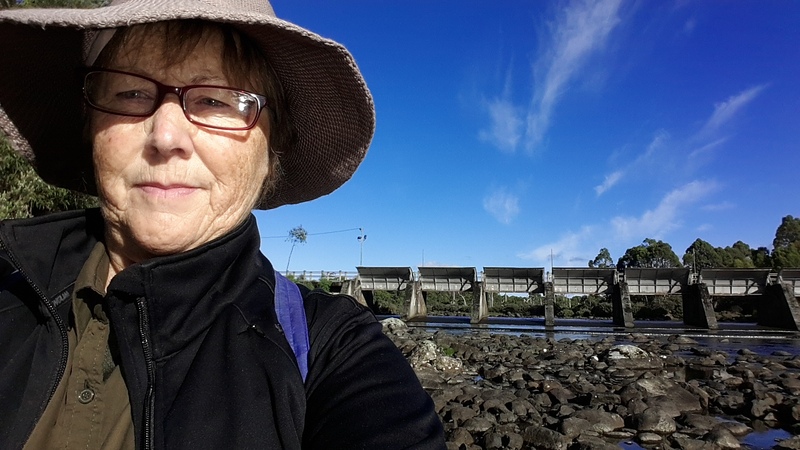 This entry was posted in Derwent River, Tasmania, Walking and tagged Derwent River, St Clair Lagoon, St Clair Lagoon Dam on January 22, 2016 by Tasmanian traveller. Hi Andrew Thanks for your comment. But there is more to come. 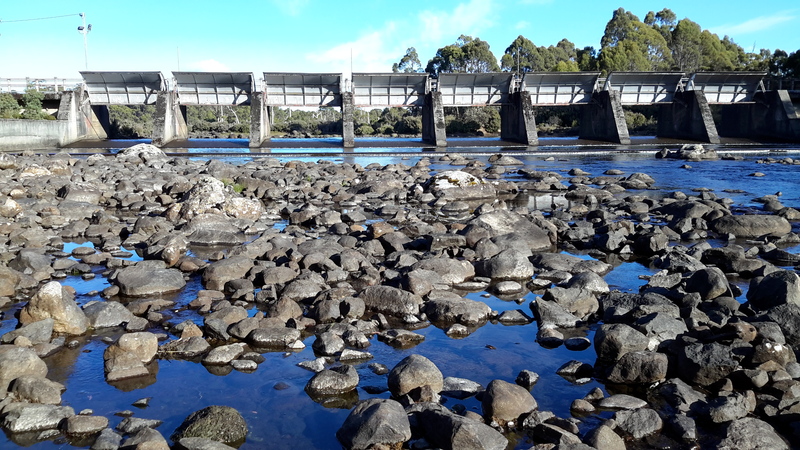 I have written so many more posts, and lots are yet to be written, which give all the additional stories of parts of the Derwent River walk which precede my walk to the source.So I hope you will enjoy the photos and information as I schedule the release of each new post. Congratulations Helen. Thanks for sharing your journey, photos and thoughts. It has been a joy to follow your path. It feels even more of an achievement as you state it began as a whimsical and unresearched project. What will your next adventure be? Thanks for your comment Ruth. I have more posts to publish that cover the ‘gaps’ in my walk and walks I have not yet had time to write up. So the blog story is not yet complete and you can expect more glorious photos of inland Tassie. As for a new project – I hope to produce two books out of this walk. The first is a book that I plan to talk with Metro Tas and Tourism Tas about – I want to create a simple paper back and online book that cruise ship and other tourists, as well as locals can use when they have a few hours to spare and no easy transport. That is, catch bus number X get off at Y and walk past P, Q and R before catching the return bus number A to point B – sort of thing. 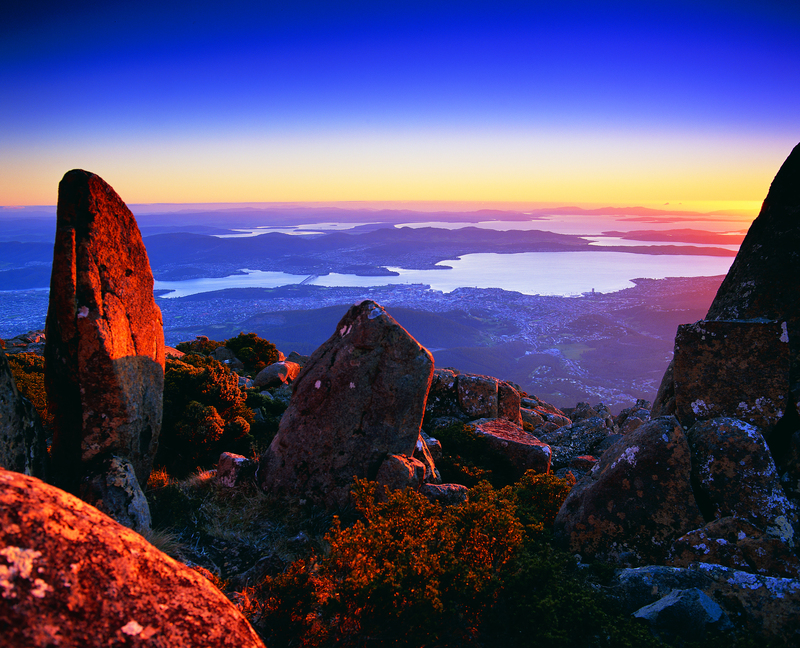 An easy to use reference that can make the Greater Hobart Area more interesting on foot. 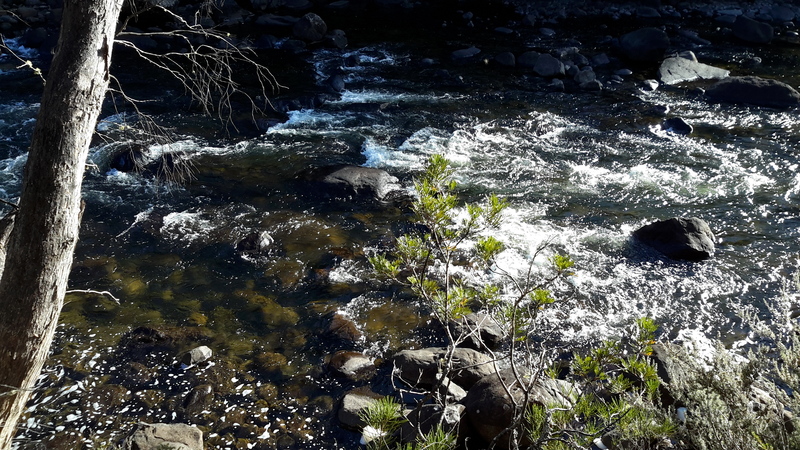 The other book will be more demanding – I would like to create a fictionalised story of what it is like to walk the Derwent. For that I have no plan and lots of thinking and planning will be required. 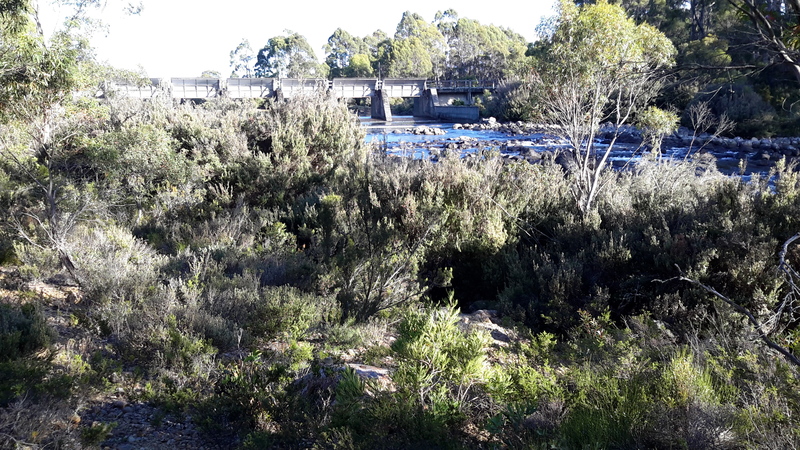 Such a writing could take a couple or more years.Then there is always my subsidiary project to discover the aboriginal history, pre-settlement, as it relates to the Derwent and then write that up – I always thought that was for winter months when walking isn’t so comfortable. But right at the moment I want to finish the posts and get them published on my blog, so I can begin to get some perspective on this epic adventure. Wow, big plans Helen. I love the idea of the transport and walk guide. Hope that works out with Metro and Tourism. Thanks Ruth. Time will tell. But from experience I know working with bureaucracies won’t be a load of laughs and it is unlikely to give me the jollies I get from walking in the bush. Still I think its worthwhile so I will pursue the idea. Congratulations on getting to the source, Helen. What a incredible task you set yourself and thank you for taking us along for the ride. I can’t wait for the book. While I made the final push to the source, and have completed most of the river, there are a few ‘gaps’ not yet trodden. Two ‘gaps’ are hugely problematic although when I wrote the post I thought they would be comparatively easily achievable – I hadn’t realised how difficult if not impossible for little me those two are. So I am reconsidering my options while trying to stay upbeat and not feel defeated and a failure. I know I know I know – every problem has a solution, and I am currently investigating some possibilities. But I have been sooooo very excited about what I have achieved.